YupTools Recover for Android is an amazing recovery tool that allows you to restore lost, deleted and missing Android data such as videos, audios, photos, documents, etc. With this remarkable Android data recovery software you can restore your vital data on all popular Android phone such as Samsung, Motorola, Sony, Nexus (upto 4.2), etc., in few simple clicks. Designed with efficient, simple and clear steps, software enables even a non technical or novice user to perform successful recovery of Android data on his / her own and without any expert's help. Since a team of experienced professionals were involved in developing this master piece, software has the caliber of retrieving data from all major data loss scenarios. Today’s era can be called as Android era, as you can see Android device in every second person’s hand. It’s obvious that users are attracted towards Android as it offers exciting features and interesting apps to play along. Unfortunately, after all its benefits Android devices are not safe from data disasters and losing data from your Android phone or other device can be very painful as lost data may be your cherished photos. Well, you need not to suffer any more, YupTools Recover for Android software will recover photos and other important stuff from your Android phone in matter of minutes. 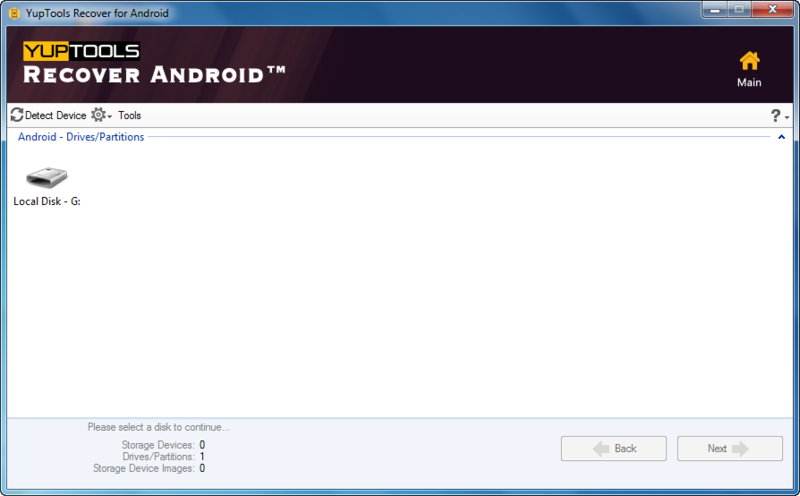 However, all that you need to do is connect your Android device to any Windows computer and initiate the process. 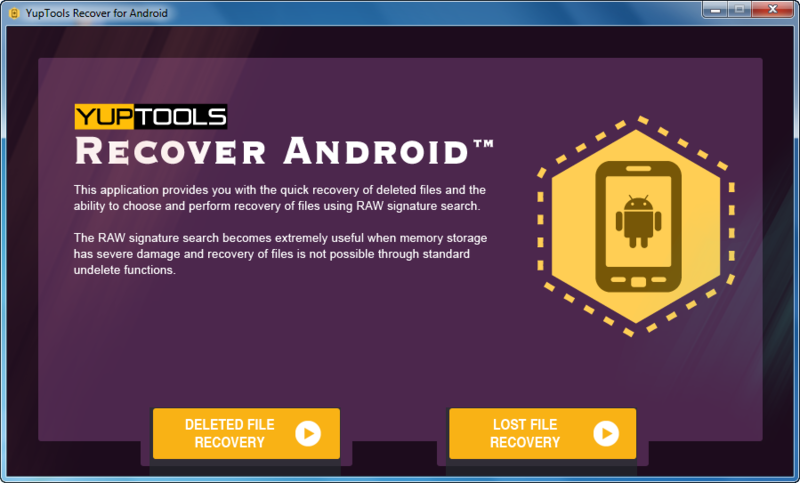 Why YupTools Recover for Android Software? Why not!! There are several reasons, because of which majority of users all around the world opt for YupTools Recover for Android. Here are few reasons to name, best Android recovery software, most reliable and safe tool to make use of, as it is certified by popular Antivirus applications, ranks high in its class as compared to its competitors and built with effective recovery methods. Apart from these it supports multiple brands and Android versions to accomplish lost Android data recovery in quick span of time. Moreover, its “Save Recovery Session” option let you to pause and resume recovery process as per your needs and preview option helps you to get an earlier look of rescued files. To run this software your system need to have at least 1GB RAM, but 2 GB RAM is recommended. 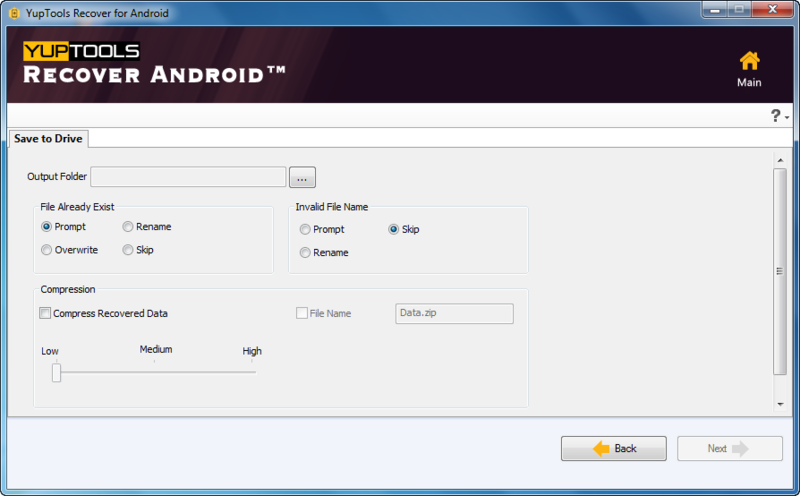 Use YupTools Recover for Android to restore deleted, lost or formatted data from Android Smartphone. To read more about this software click given link. Fix the issues related to your Microsoft Word document that refuses to open or throw various error messages when accessed. This YupTools Fix Doc Software can fix all issues in just few mouse clicks.